Our American democracy is in crisis. The voices of ordinary citizens are drowned out by big money interests. And the very core of our First Amendment is in jeopardy because of the U.S. Supreme Court’s latest rulings. Yes, we are talking about Citizens United. The American people recognize this, and the people of New Hampshire have set out to overturn Citizens United with a 28th amendment. 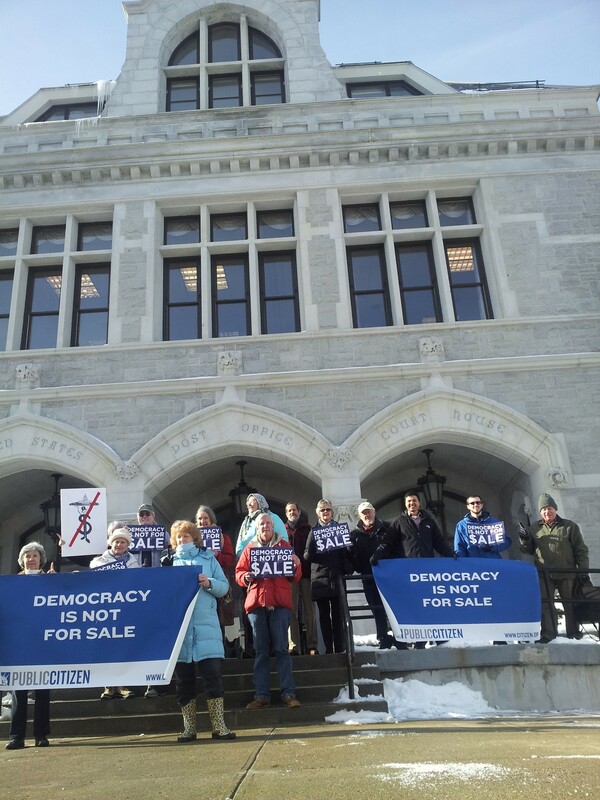 Today, John Bonifaz testified before the New Hampshire House and Senate in a hearing calling for the enactment of a 28th Amendment to end the big money dominance of our politics and restore a government of, by, and for the people. Free Speech For People strongly supports House Bill 371 and Senate Bill 136. The hearing marks an important step forward in the movement to challenge corporate power and to limit the unchecked flood of special interest money in our elections. Sixteen states have already gone on the record calling for an amendment. John Bonifaz’s testimony before the House and Senate is available for download below.